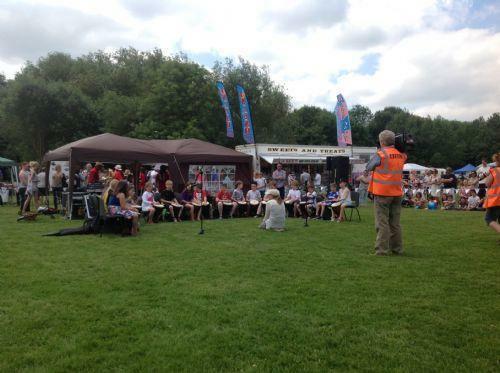 It was simply a fantastic turn out for the Heart of the Forest Festival from Oakthorpe Primary. A fabulously warm day and we were thrilled to have the perfect spot in the parade right behind the band! 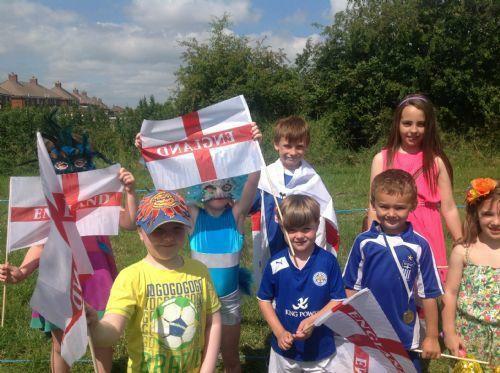 the children were really excited to be there and it was great fun to collect even more along the way! 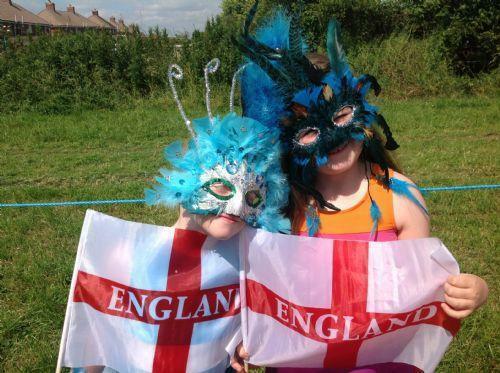 Ruby and Madison modelling this year's parade must have masks complete with up to the minute trend of turquoise feathers - lovely ladies! 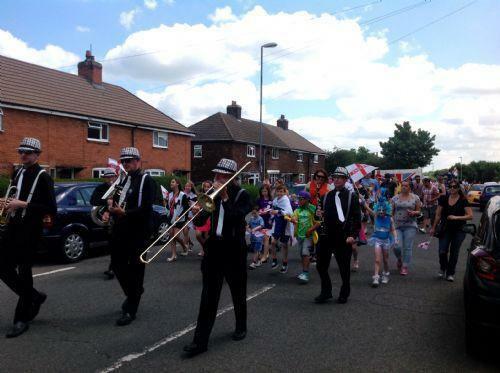 Oakthorpe shows how we march in style! 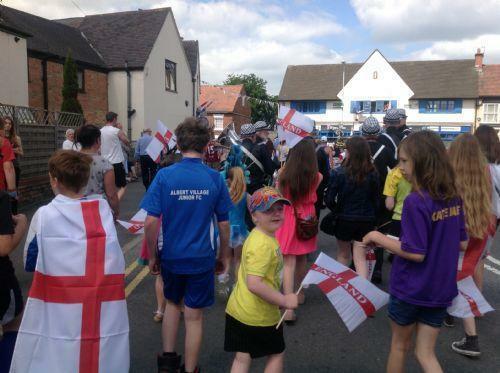 Measham High Street looked absolutely fantastic with the flags and bunting. 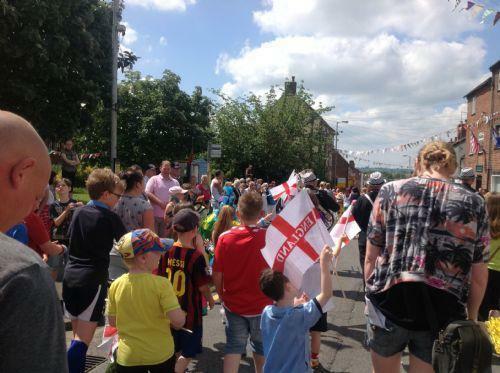 This is where we gathered even more parade goers along route to join in all the fun! Oakthorpe drummers! Ok we know we were a bit out of time and our co-ordination may not have been up to its usual high standard but we were surviving without our wonderful Mr Bailey and Mrs Bowler you are a star for helping us literally - give it a bash! No one can say we didn't have great fun! 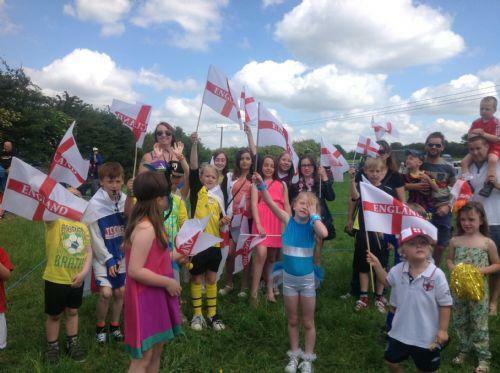 We're proud of you all for turning up and contributing to school life by representing Oakthorpe - many thanks to those supportive parents for the biggest cheer ever! Hope the BBC man like it!